Those who thought the oak standing timber price would stumble in the early fall were wrong. In the east of France, the auction held in Beaune (Côte d'Or) on September 13, 2018 and organized by ONF set the tone for the new season of marketing oak harvested in the French state forests. And the bids that followed only confirmed the continuation of the upward oak price trend. The auction held in the Burgundy city is emblematic in many ways. It arrives at the very beginning of the season and is a reference for the oak pricing. Moreover, the reputation of the Saône valley oaks, especially the ones harvested from the renowned state high standing forest plantations, is well established. These quality products are therefore in demand with the sawmills, especially those who manufacture boules and other high quality lumber. Once again, the oak prices soared during the auction held in Beaune and the sawmill owners had to up the stakes if they wanted to be the happy owners of the high-end timber. In the end, the annual increase recorded by ONF reaches 17% on average. According to our estimates, it varies from 7% to 13.4% depending on the volume (see table below). ONF underlines that the upward trend was confirmed during three other auctions dedicated to oak that were held in Doubs-Jura, Haute-Saone and Nièvre. "The average annual oak price growth comes up to 15%, all assortments are being sold with a low unsold goods rate," says Jean-Baptiste Schwebel, the wood marketing director at ONF Bourgogne Franche-Comté. This new onset of oak price hike occurs after five consecutive years of higher standing oak prices (see table below). Since 2014, standing oak prices in Burgundy have increased by an average of 60%. Some industry representatives are alarmed at the risk of overheating that may shake the oak lumber markets if this trend continues. "I was expecting a kind of price stability in the early fall, so I am surprised at the current prices, which mark a further 6% to 7% increase over spring," says David Chavot, the director of Margaritelli Fontaines sawmill. For other market players, this oak price increase is not shocking. "I am not surprised that a raw material as precious and natural as oak and which takes 200 years to grow, sells at the current price. 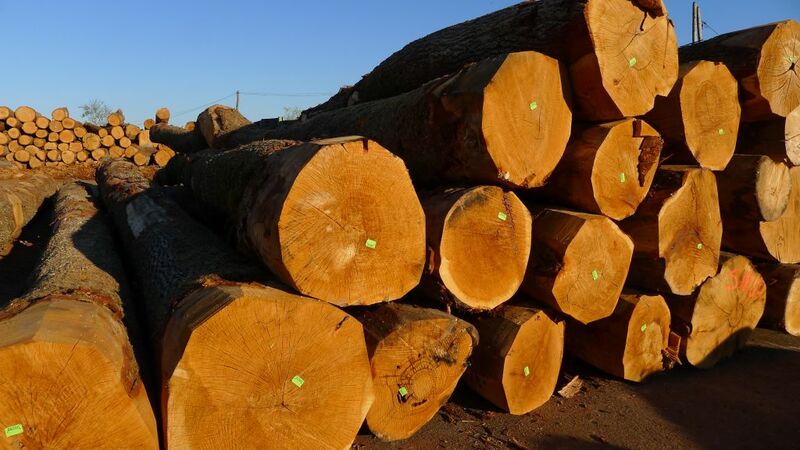 One must not be shocked, I find it logical that forest owners get a fair return from such a long-term investment," says a sawmill owner Henri Mutelet. Today, the question is to what extent the market can support such a price growth. "These successive price increases worry me because our customers are under pressure and, ultimately, there's a risk of switching to other species," said David Chavot.